4th of July KISS $25 ticket special! 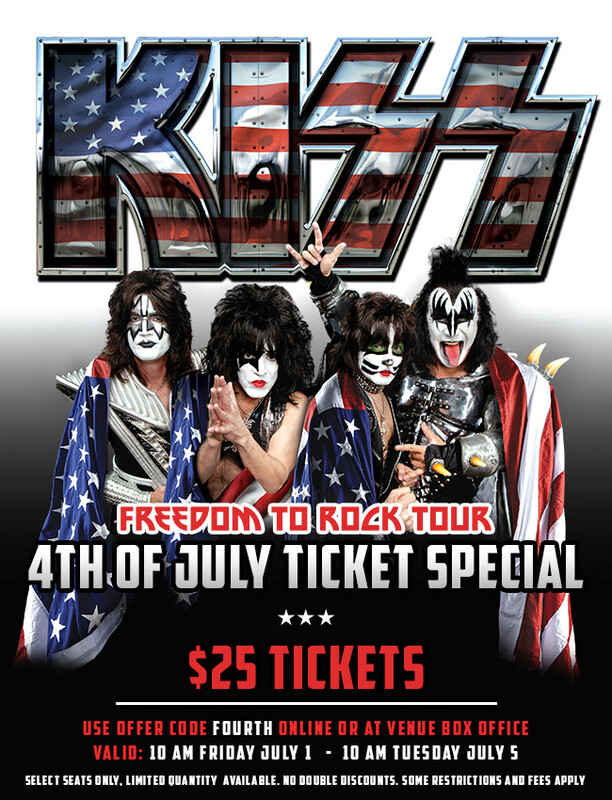 Get KISS tickets for only $25 July 1 - July 5 during the Freedom to Rock Tour 4th of July Special! You can purchase tickets July 1-5 online at http://purchase.tickets.com/buy/TicketPurchase or at the JQH Box Office. Enter the password: FOURTH at the checkout window. Note: The JQH Box Office will be open Friday, July 1 from 10:00am - 3:00pm and Tuesday, July 5 from … [Read more...] about 4th of July KISS $25 ticket special!